The state of Texas is home to great music and great sports teams, and it also has a rich history. However, it’s not all bright and sunny in this southern state as the crime rate is expected to go up for the rest of 2014. In fact the latest figures show that the violent crime rate in the state was 35% higher than the national rate in 2010, and only went down a bit in 2014. For this reason, police departments there are always looking for potential police officers. The application requirements for police officers in Texas have to be met by every candidate, and anyone who wishes to apply has to make sure that they bring along all the proper documents as well. 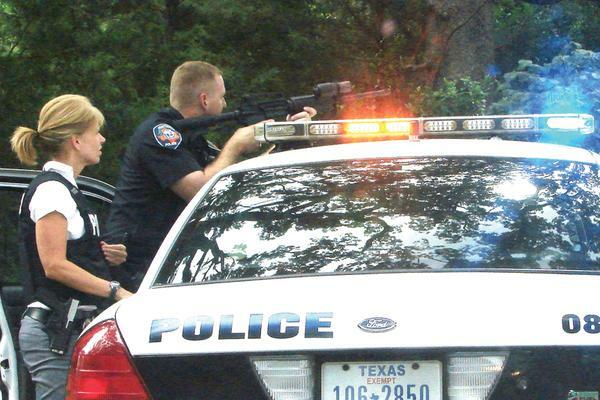 Unless specified otherwise by the department you are applying for, these police academy requirements in Texas apply. Those are just the basic requirements for a physical training program, and more may be included depending on what position you are training for. Apart from running and sprinting, there might be several cardiovascular exercises included as well as scenarios that will test your self-defense, as well as handle “real life” situations that call for physical action and exertion on your part. The Houston Police Department application process is divided into seven phases. The first phase requires you to submit all the required documents and phase two, pass the reading comprehension test. Phase three is the physical agility test, while phase four is the polygraph exam and final interview. If you pass those phases you will proceed to phase five where you are subjected to a background test, and at phase six you will undergo the medical and physical exam. Phase seven will conclude with a final review and get approval from the Houston police chief. The San Antonio Police Department has requirements similar to what the state has set down, but with a few notable exceptions. The minimum age here is 20 years and 6 months, and you cannot be more than 45 years old. A high school diploma or GED is acceptable, but if you obtained GED, a minimum of 12 completed hours from a college or university is required. The academic training is 33 weeks long, and the physical training lasts 12 weeks. During this period you’ll go through two-hour physical training, do CrossFit workouts and take part in running regimens. Members of the SAPD will also learn defensive tactics, life saving skills and how to drive emergency vehicles. The Dallas Police Department also has similar requirements for applicants just like the state, but with some important differences. The minimum age requirement is 19 years if you have 60 hours from an accredited university or college, and a minimum 20/100 vision rating is necessary. Just like the other police departments, a polygraph test is required. In addition, applicants need to have a minimum vertical jump of 6.5 inches and can do at least 14 sit ups in a minute. Candidates also need to do a bench press of 56% of their body weight and do a 300 meter run in 110 seconds. This run, it has to be noted, is in addition to the 1.5 mile run that you have to complete in 19 seconds. The Austin Police Department also follows the state guidelines for recruiting police officers, and applicants must also pass the stringent written exam before they can proceed any further. However, those who pass will receive several benefits including a starting salary of $33,334.00, and it does not even include the extra pay incentives. For instance, the Austin Police Department offers long term disability benefits for officers as well as holiday leave, 40 hour emergency leave, tuition reimbursement and eye and dental plans. The requirements at the Fort Worth Police Department are the same as those of the state with a few differences. The age requirement is between 21 to 44 years, and you are required to live within 30 minutes from the police station where you will be reporting. You also have to go through the written, psychological and medical examination before youcan be considered for the academy. All candidates are also required to pass the PAT (physical assessment test), which actually consists of an obstacle course. Regardless which of the police departments mentioned above you choose, getting accepted is very difficult unless you know how to prepare for the police academy. The process is complicated, and not only are the tests difficult, but getting started is enough to intimidate most applicants. The ideal solution is to use a manual like Prepare for the Police Academy, as it is a complete and comprehensive guide to the entire process. What makes this guide different from others is the fact that it was prepared and written by someone who knows what it’s like to go through the academy, and knows how to go through it successfully. There are a lot of topics covered in the book, including reviews of the exams as well as details concerning the courses that are tackled in the training program. I have a question. suppose a recently separated veteran left the military with a medical profile due to problems with his/her knees. This soldier has been completing alternate events for his/her PT test for years (2.5 mile walk in less than 34 minutes), and is unsure of his/her ability to complete a run at an 8 minute mile pace (1.5 miles in 12 minutes = 8 minute mile pace.) would there be an alternate event available for such a situation?